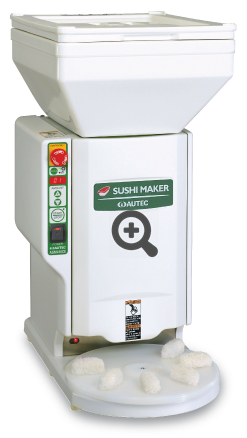 Optimal for sushi restaurants, delivery or take away. 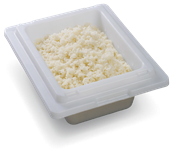 Excellent quality and form of ready sushi, rice is not damaged while forming. All standard sizes of nigiri are available. 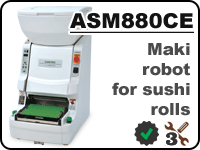 This model has kept the best elements of its predecessors — «to put a robot on a table and forget about problems of nigiri standardization or qualification of personnel». 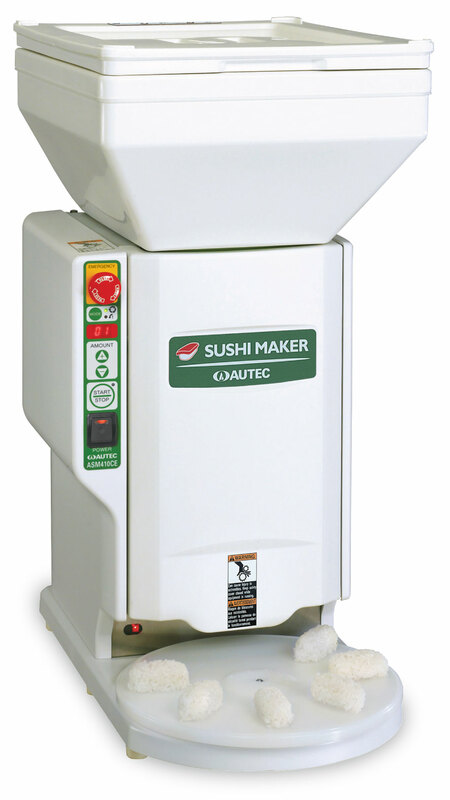 Some of our clients also use this robot as a universal rice dispenser in case of forming other types of sushi. 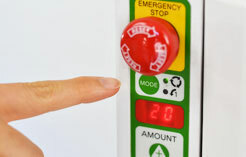 High production capacity up to 2400 pieces per hour is combined with compact design. 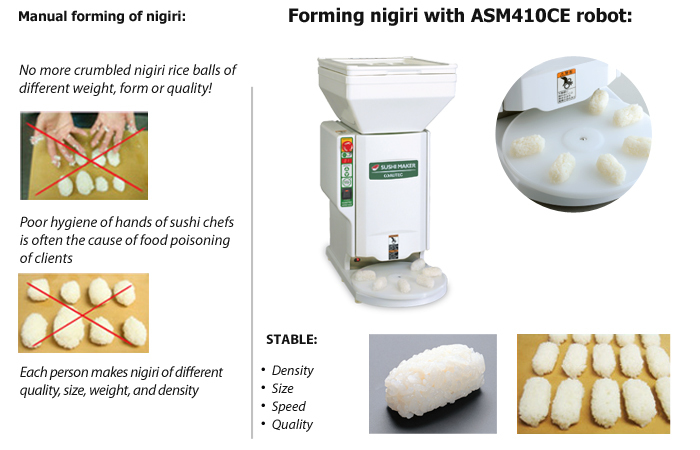 Increased quality of nigiri forming – rice balls have the appropriate shape. 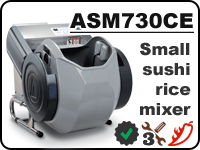 Nigiri are accurately placed on the rotating turntable to increase the speed and efficiency of the production process. 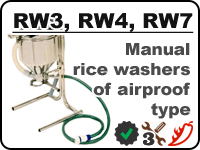 The hopper for rice keeps optimal rice temperature for a long time. 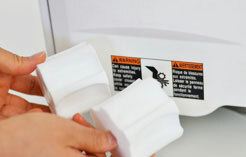 Compact design and usability: easy cleaning and small number of removable parts. 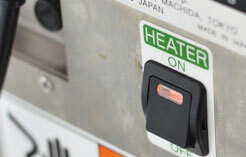 Heating system keeps the optimal temperature of rice for forming rice balls. 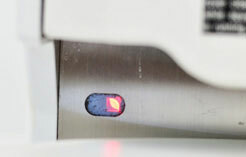 A robot can form one or several nigiri on a rotating turntable. Simple settings of density and rice amount in rice balls. 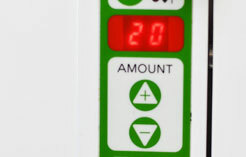 The sensor automatically identified whether rotating turntable is filled with rice balls. 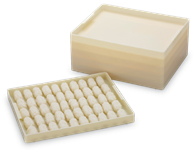 There are available several types of forming rollers for different sizes of nigiri.